It’s the most wonderful time of the year! 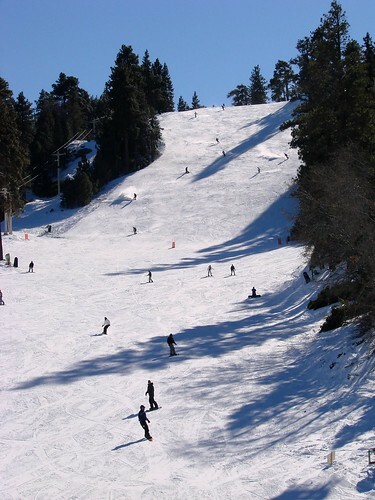 Winter Fun in Big Bear is just around the corner. Leading up to the busy season here, there’s something to keep you busy every weekend. The vastness of the mountain combined with our quaint village activities will give an escape from the hustle and bustle of the holidays in the big city. You and your family can spend the day on the slopes, sit around the fire, grab some games from the Big Bear Frontier Lobby, and catch up on what everyone is doing. The months of November and December are perfect to enjoy snow both on the slopes and off. We are all excited for the upcoming ski season! Here are some events you should plan to attend this holiday season. Participate in the 4×4 “Off Roading for Our Heroes” on Veteran’s Day weekend, November 12th and 13 of 2011. 4×4 sports enthusiasts won’t want to miss this event. Funds raised go to the Warrior Foundation to support American Heroes and you may get to explore trails that may be closed due to snow later on in the winter. Also on Veteran’s Day is the 236th Annual Marine Corps Birthday Ball at Northwoods Resort Marine fest. Cocktails begin at 5:30 p.m. and the ceremony, dinner and dancing begin at 6:30 PM. On November 25, 2011, Santa makes his grand entrance in Big Bear Village. He usually comes in on a firetruck to greet the crowd on the corner and last year there were Christmas carols and dancing in the street while the children anxiously awaited Santa. I was there with my great granddaughter and was impressed to see tourists and locals alike joining in the fun, receiving a toy from Santa and warming up with hot chocolate and coffee. November 25th brings an original stage adaptation of “A Christmas Carol” at the Big Bear Lake Performing Arts Center. There is a lot of effort that goes into this fine performance and its definitely worth your time. Don’t forget to spend a day at Southern California’s only bobsled experience, the Alpine Slide. Begin with a scenic chairlift and end with a thrilling ride down the mountain. On December 31, 2011 plan to attend the annual Torchlight Parade at Snow Summit. 100 skiers and snowboarders will participate in carrying a lighted torch as they come down the slopes. It’s quite a sight! If you do plan to visit us for any of these events book your reservations now as we tend to fill up for the ski season. We look forward to seeing you! What do you plan to do over the holidays? Gallery | This entry was posted in The Seasons, What to see and do and tagged Alpine Slide, Big Bear CA, Snow Summit, What to Do. Bookmark the permalink.